On my second go-around on the Dumpling Trail in Richmond, it brought us to Aberdeen Centre, specifically, the food court. 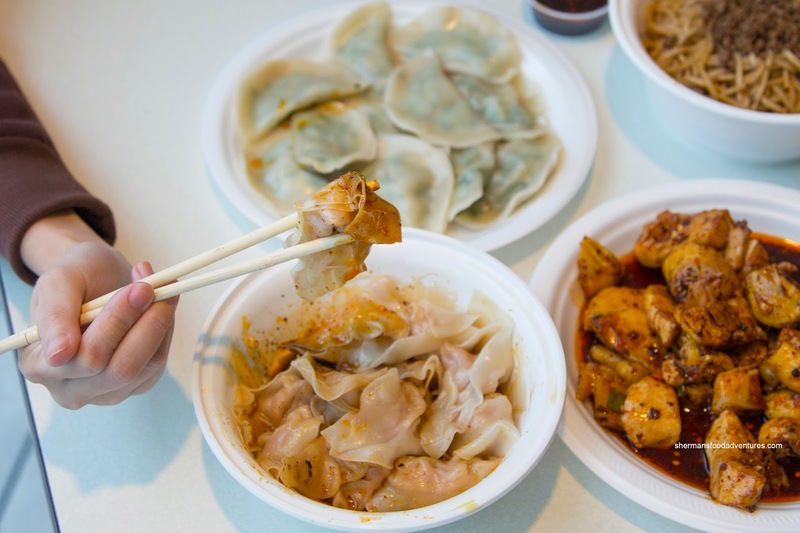 Of course there are many dumplings to be found there, but the Dumpling Trail only consists of participating restaurants. In other words, Tourism Richmond did not suddenly have a brain cramp and forget to include some of the obvious spots. Instead, they chose not to participate (for those who are scratching their heads as to why some of their favourite places are conspicuously missing). I digress. 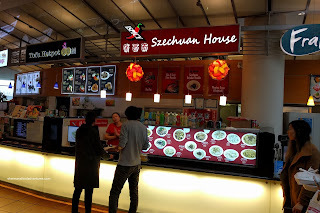 So we headed over to the place that was participating in Szechuan House. 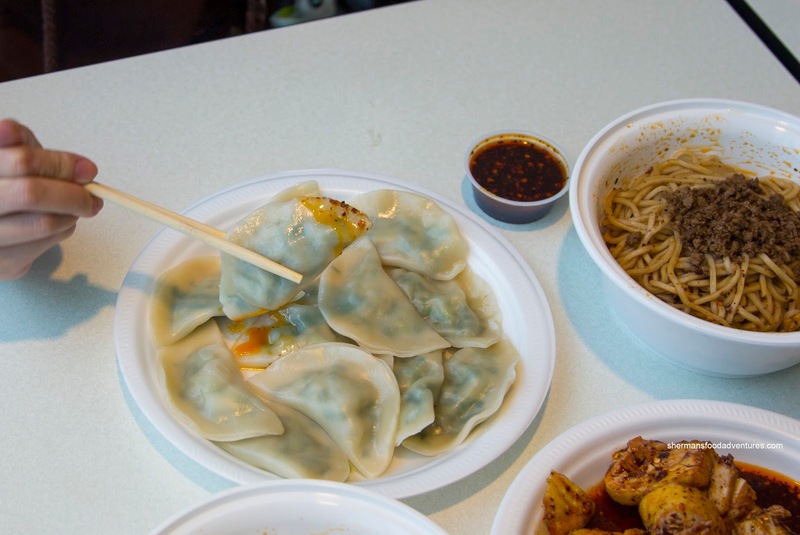 We ended up getting 4 items including the Spicy Wontons and Boiled Dumplings. In terms of overall flavour and impact, the spicy wontons were not lacking. The spicy and tongue-numbing chili oil-based sauce was definitely at the forefront. At the same time, it wasn't so spicy that we couldn't taste some saltiness to go with the background sweetness and a touch of tang. The wontons featured a fairly dry skin that was semi-thick. I found the filling to be a touch mealy where it lacked actual texture. The boiled dumplings were pretty good despite looking rather sad. I found the dumpling skin to be medium thickness, yet tender at the same time. The filling was surprisingly balanced despite the plethora of green onions. We just wished there was more of it. 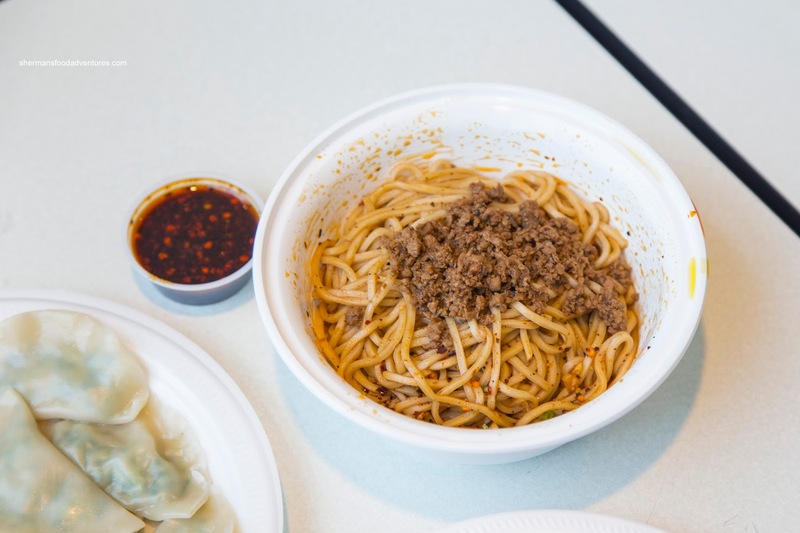 One of the more surprising items was the Dan Dan Noodles. By appearance alone, we weren't holding out much hope. However, once we mixed in the ground pork sauce, the chewy noodles were completely seasoned and tasty. There was a good balance of savoury and spicy elements to go with an aromatic essence. I couldn't put my finger on it, but it was a bit smoky and incredibly savoury. I would've finished the whole thing myself if I didn't have to pace myself. 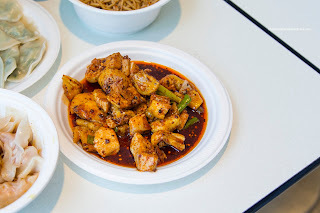 Our last dish was the Mouth-Watering Chicken which was tossed rather aggressively in the chili-oil based sauce. Although not particularly aesthetically-pleasing, the chicken was well-seasoned being salty and spicy. However, the chicken itself was a bit dry and not flavourful on its own. 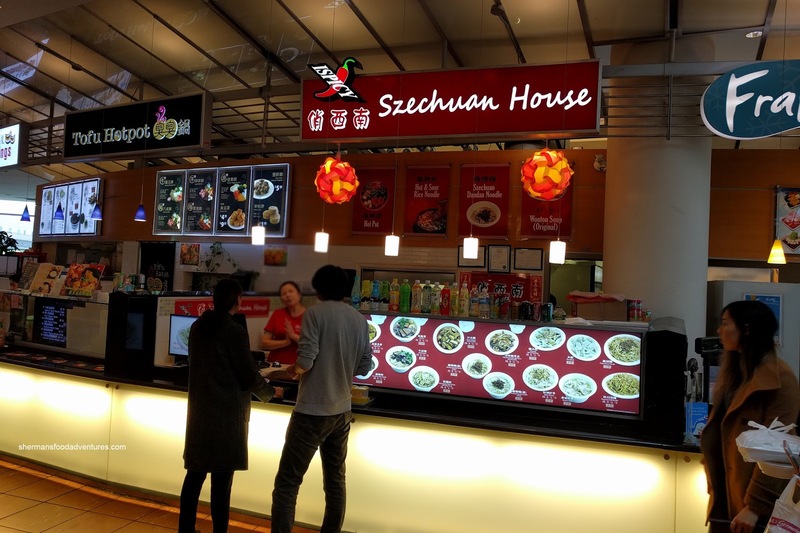 For food court eats, Szechuan House did the job and surprised with the Dan Dan Noodles.